Arrives in 6 - 10 business days. 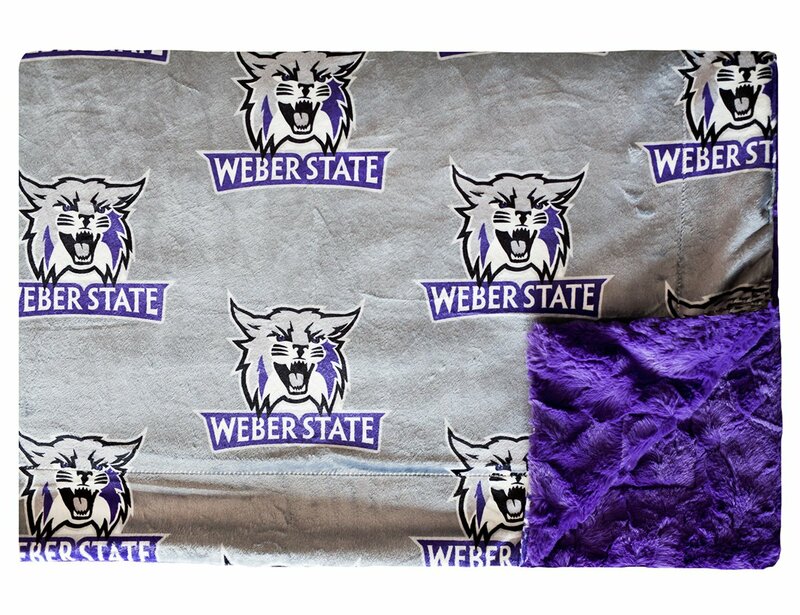 Show off your team pride with our exclusive Weber State design! Gray background with the Wildcat logo in white, black and purple. Plush purple minky on the back with no ruffle. This exclusive design can only be found at Minky Couture.